In low light it’s imperative that every worker be clearly seen. This excellent high-visibility glove not only ensures that with its high-contrast color scheme and retroreflective knuckle strap, but offers an insulated Thermosock® lining and breathable vented nylon back. 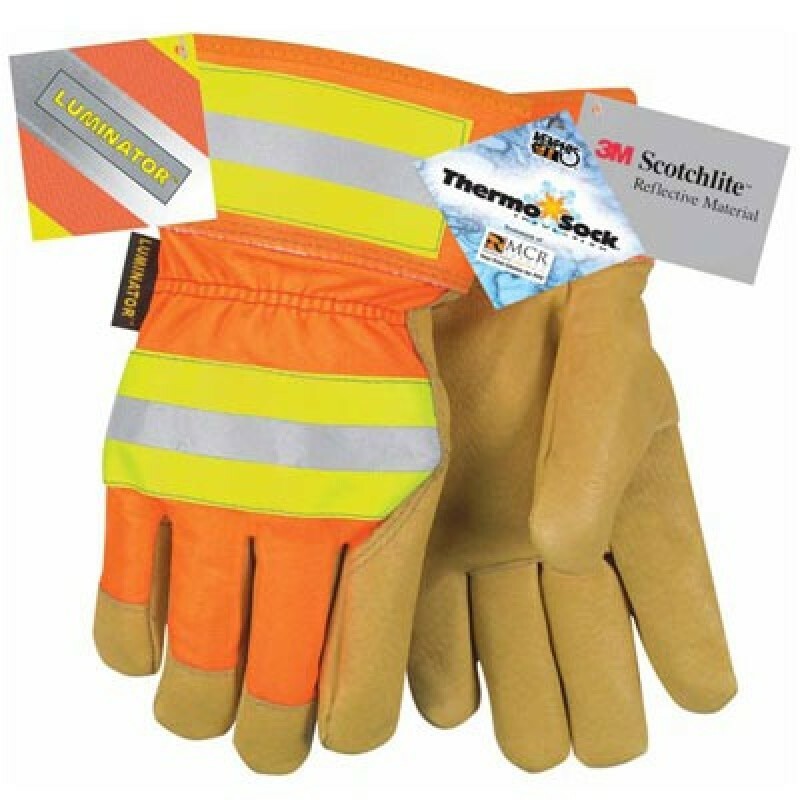 These Thermosock lined pigskin work gloves feature a Gunn cut pattern made of "A/B" grade grain pigskin. The orange hi-vis nylon back features a shirred elastic wrist and canvas rubberized 2.5 inch cuff and knuckle area for added protection.